Our friends at the Greater Seattle Fuchsia Society have sent the following invitation to their upcoming show at the locks. This group has been volunteering at the locks for decades and are responsible for the fuchsia display you will find outside the Admin. building as you approach the locks. Some of the plants you will see have been developed locally and are named after local members of the society. So come and enjoy a day of all things fuchsia! The show is located in the nursery just as you enter the site from the main entrance off NW 54th street. Spend a relaxing day exploring the Locks and take time to stroll through a wide variety of fuchsias from bonsai and trees to hanging baskets and wall boxes. 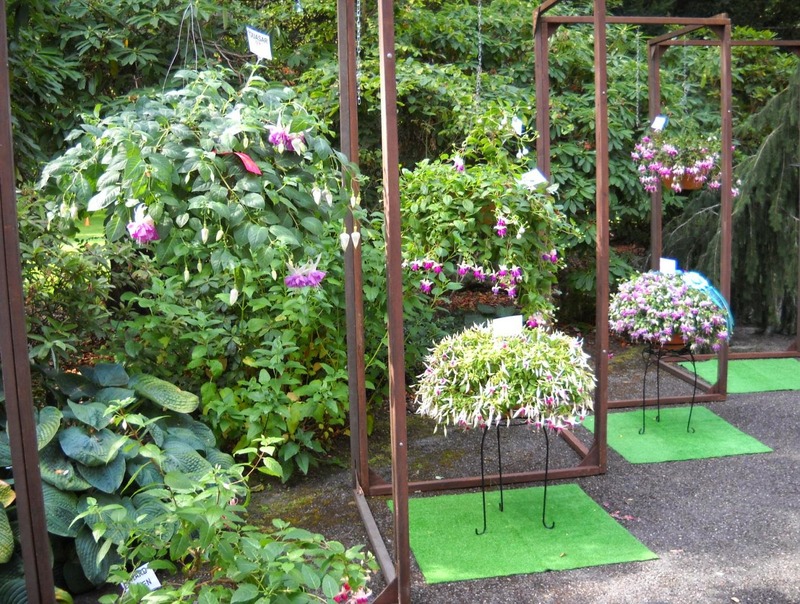 Talk to the experts, vote for your favorite fuchsia and check out the fuchsia display beds as you wander through our beautiful garden. The exhibit will be available for viewing from 9:00am - 5:00pm Saturday.